Bombardier Inc. has announced it has sold a majority stake in its CSeries passenger jet business to European aerospace giant Airbus for no cost. Bombardier Inc. announced Monday it has sold a majority stake in its CSeries passenger jet business to European aerospace giant Airbus for no cost. The move comes after lacklustre sales and after the U.S. Commerce Department imposed harsh duties on Bombardier, charging the Montreal-based company is selling the CSeries planes in the U.S. below cost and receiving government subsidies. The Commerce Department recently announced it would impose an 80 per cent duty on top of duties of nearly 220 per cent. The case has been a win for U.S.-based rival Boeing. 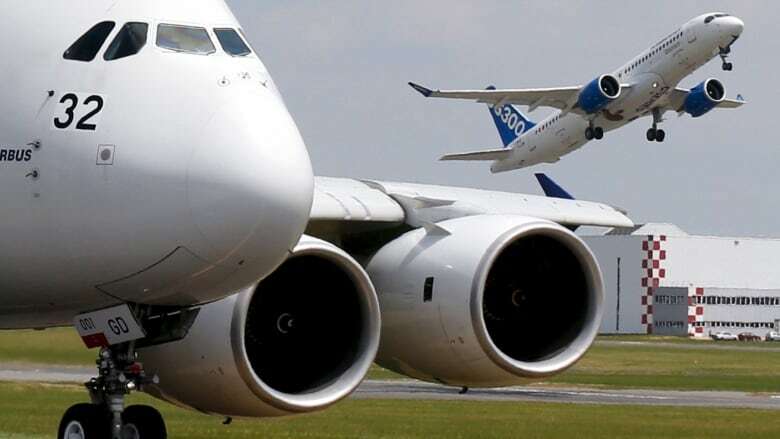 Boeing has said it didn't move early enough against Airbus subsidies in the 1970s. Airbus is now a global giant. The move by Bombardier could possibly circumvent duties being imposed on the CSeries. The CSeries headquarters will remain in the Montreal area, but a second assembly line for the 100- to 150-seat plane will be set up at Airbus's facility in Mobile, Ala., so the plane can be sold in the United States. Airbus chief executive officer Tom Enders said an aircraft produced at a U.S. Airbus facility would not be subject to duties under the pending U.S. investigation. Enders said the acquisition extends the company's product offering into the fast-growing 100- to 150-seat market sector. The current Airbus A320, a rival for the CSeries, is for 180 passengers or more and Airbus hasn't sold an A320 in three years. Enders said some airlines have been reluctant to purchase Bombardier's plane because of doubts the program would continue. It has been hurt by lacklustre sales and was bailed out by Quebec and the federal government. "Some customers will be convinced it will be a great product and it is here to stay," Enders said. Enders said the talks started in August and were not motivated by what competitors are doing. He rejected a deal to acquire it three years ago, but said circumstances have changed, saying the plane is now certified and receiving rave reviews. Airbus is not assuming any debt as part of the deal. 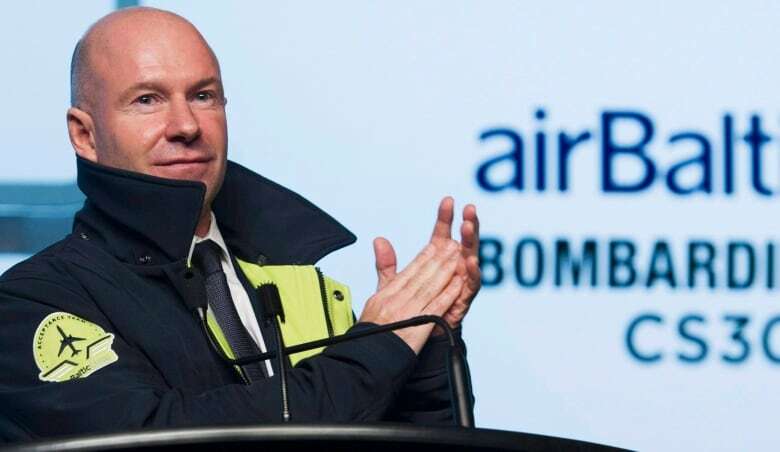 Bombardier chief executive officer Alain Bellemare said having Airbus as a strategic partner "increases confidence that the aircraft is here to stay." He said they'll secure more orders and double the value of the program. "By securing the U.S. market you end up securing the program," he said. Airbus will acquire a 50.01 per cent interest in the CSeries Aircraft Limited Partnership, which manufactures and sells the plane. Bombardier will own 31 per cent and the Quebec government's investment agency will hold 19 per cent. Montreal-based Bombardier had dreamed of capturing half the global market for 100- to 149-seat planes. It has marketed the plane as being 20 per cent more fuel-efficient than the comparable Airbus A320 and Boeing 737 family of aircraft. Chicago-based Boeing's complaint claims Bombardier's new CSeries passenger aircraft receives federal government subsidies that give it an advantage internationally. The Quebec government invested $1.25 billion in exchange for a 49.5 per cent stake in the CSeries last year. The federal government also recently provided a $344-million loan to Bombardier, which struggled to win orders. Bombardier won a 75-plane order for the CSeries from U.S.-based Delta Air Lines in 2016. Bombardier said its planes never competed with Boeing in the sale to Delta. Prime Minister Justin Trudeau has said his government could stop doing business with Boeing if the U.S. company doesn't drop its trade complaint against Bombardier. The federal government had been in talks to purchase 18 Super Hornet fighter jets from Boeing, but those have been on hold because of the Bombardier dispute. Boeing posted a message on Twitter Monday night, describing the agreement as "a questionable deal between two heavily state-subsidized competitors to skirt the US government findings." Delta Air Lines, Inc. said that it looked forward to introducing the CSeries jet into its fleet. Quebec Minister of the Economy Dominique Anglade issued a statement saying the tie-up will ensure "the growth of the CSeries and the related jobs, in addition to securing the investment of Quebecers." Navdeep Bains, minister of innovation, science and economic development, said the Airbus acquisition will be subject to federal government review, but he sounded pleased. "On the surface, Bombardier's new proposed partnership with Airbus on this aircraft would help position the CSeries for success by combining excellence in innovation with increased market access and an unrivalled global sales force," Bains said in a statement. "With this proposed partnership, Airbus would commit to making Canada its fifth home country and the first outside Europe."